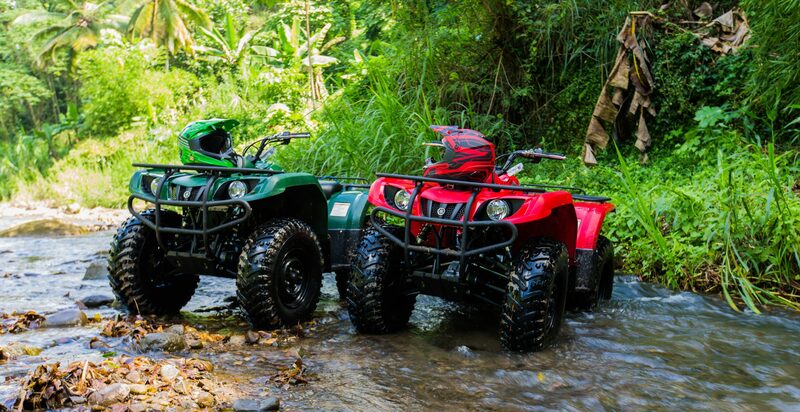 All clients must go through an orientation to determine if they can safely operate the ATV before the tour departs. Decision to embark on the tour will occur after the guide is confident that participants can safely manage the ATV. All safety gear provided must be worn at all times. All bikes should be rode at a safe speed, following the guide at all times. The tour is not suitable for pregnant women and persons who suffer from back, neck and spine problems. Persons who have never operated motorized vehicles should let the tour guide know upon arrival. We can provide extra training / instructions if you have never rode an ATV before. A waiver must be signed by all participants before the tour. Dress Code: Jeans or shorts, t-shirt, running shoes and swimwear. Custom time slots can be arranged. Round trip transfers can be arranged from any location on the island.